The Selenite Forge is a small indie game studio created by 2 brothers. We started our first game Bionic Attack in 2011, and it was released in May. We like to dream, to write stories, to play video games and of course to make video games! We are back with a new game, named DotLine. It's a minimalist puzzle game. We made it easy to learn and hard to master. The concept is simple: click on puzzle elements to drive the ball to the exit without falling into the void. 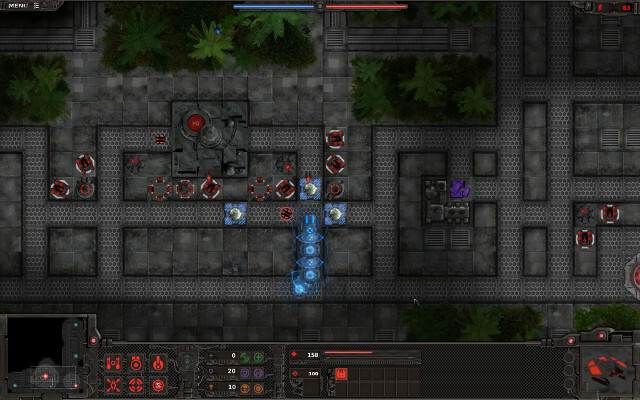 The main campaign is made of 72 levels, the more you progress the more deep and fast thinking will be required. Additionally there are 9 bonus levels to unlock and more than 30 challenges to complete. The game will be released on 21 September 2018 on DotLine website and Steam. Here are some news about Bionic Attack, we added two new maps in fight mode. 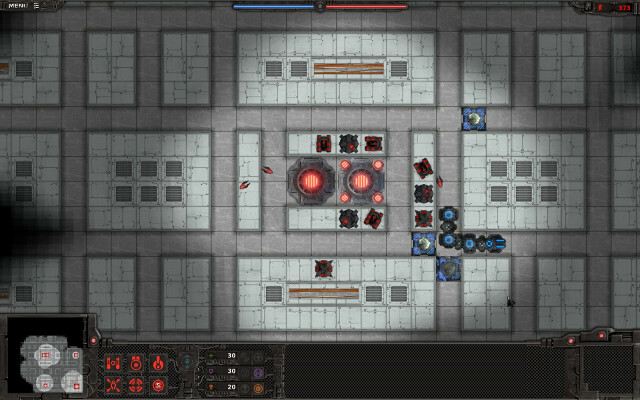 "Alpha Section" that uses the technological theme, with two generators in the middle, that will lead to a fight for the control of the central area. The second map is "Forest Area" that uses a jungle theme. The two bunkers are separated by a large wild area. To celebrate this update, there is a 35% discount this week ! In the latest update of Bionic Attack, we added some controls. You can now move the camera with arrow keys and middle mouse button. Towers can now be rotated by pressing twice its shortcut (previously used arrow keys). You can now use the control groups to center the camera on its first item by pressing twice the control group shortcut. if you have a Drone it selects it, if a Drone is already selected, it selects the next Drone or if if you have no other Drone it centers the camera on the selected one. This update also fixes the dual screen behavior on Linux, you can now use the second screen to display something else. 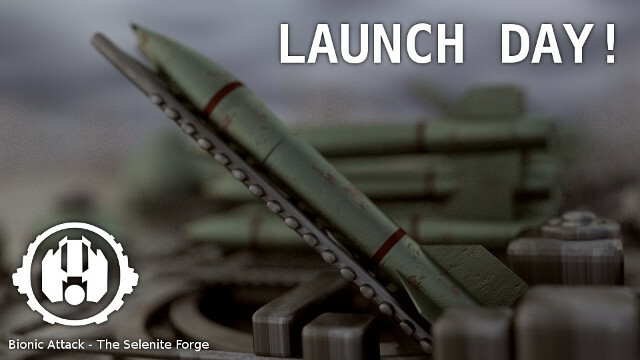 Bionic Attack launch has been detected ! It will also be released on Steam on May 20 and Mac version should be available in the weeks to come. During all this years, we continued our hard work to complete our RTS Bionic Attack. Beta testing just ended this week and Bionic attack will be released in the weeks to come. 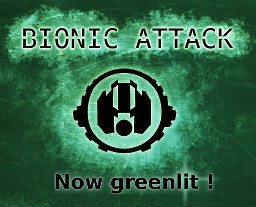 Bionic Attack is now greenlit ! Thanks to all voters. The game development is still progressing, we are now working on AI levels and team balancing. We have to inform you that the Bionic Attack release will be delayed, it should be out after the summer. We are still improving the AI and working on the campaign. It would be a shame to spoil 3 years of work by releasing an unfinished or unpolished game. There are a lot of games available in alpha version, why not release our game in early access ? The answer is simple, the game experience would be spoiled, especially for the campaign. Most people, do the campaign only once, so the game experience should be the best for the first time. Maybe we will release a beta version a few weeks before the final version but just for balancing and specific environment testing (for OS and hardware compatibility). Hello, today we will not talk about our game Bionic Attack, but about the Project Gooseberry by the Blender Foundation. So what is it ? It is an animation film project which should last about 90 minutes. The team will be composed by The blender Institute and twelve indie studios from all over the world. To bring this project to life They have launched a campaign to raise funds from the community. The goal is to reach 500 000 euros. We have just published the gameplay trailer of Bionic Attack on Youtube, check the Bionic Attack homepage to watch the video. Welcome to The Selenite Forge dev blog. TSF is a small game studio that is emerging from the shadows after 3 years of development on Bionic Attack, our first game. If you want to know a bit more about the team just check the "About us" section. What's coming next on this blog? 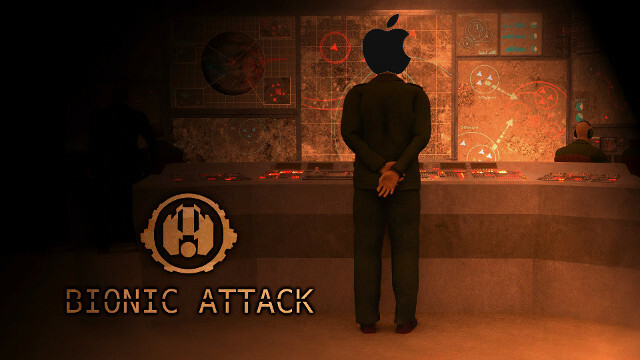 Of course we will announce the beta and the release date of Bionic Attack. We will write about our game development and the game itself. We will also probably talk about other things like other indies and some other things related to game development.